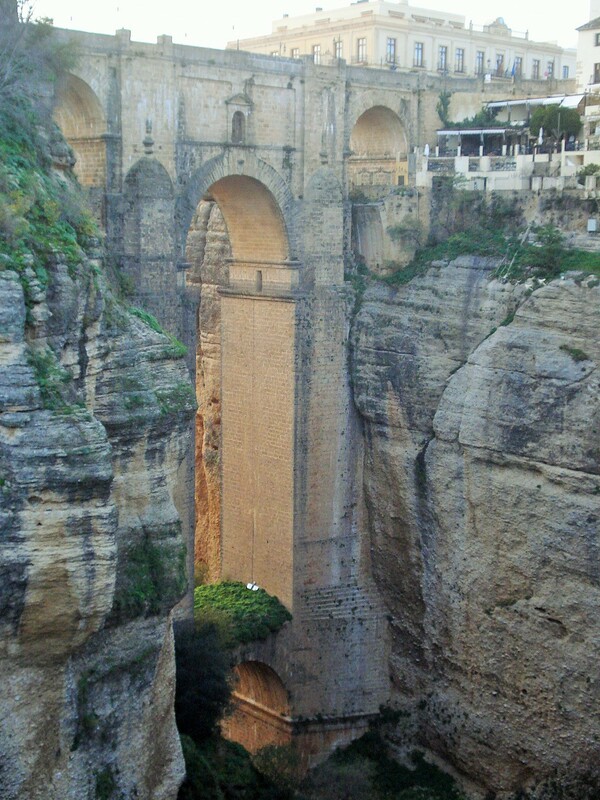 Ronda is one of the “white villages” of Andalusia in southern Spain. 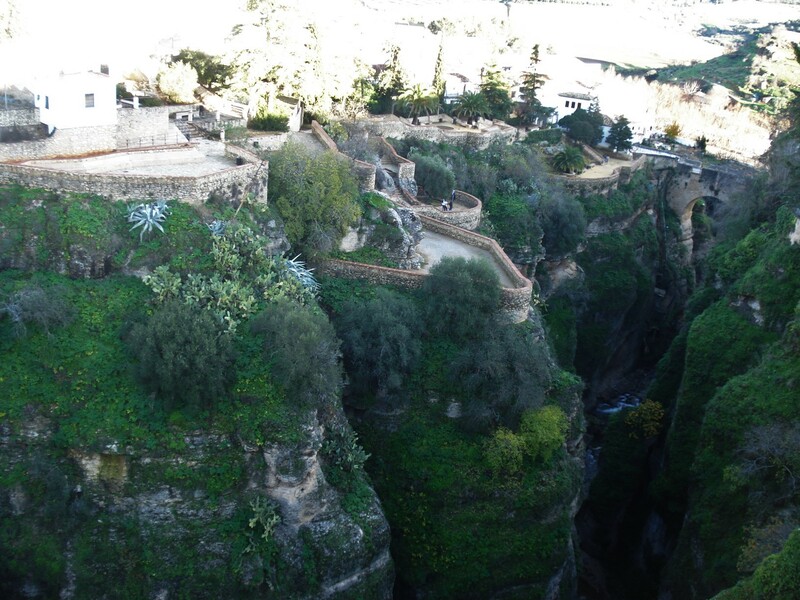 It is most famous for the steep cliffs separating the two sides of town and the jaw dropping view they offer. 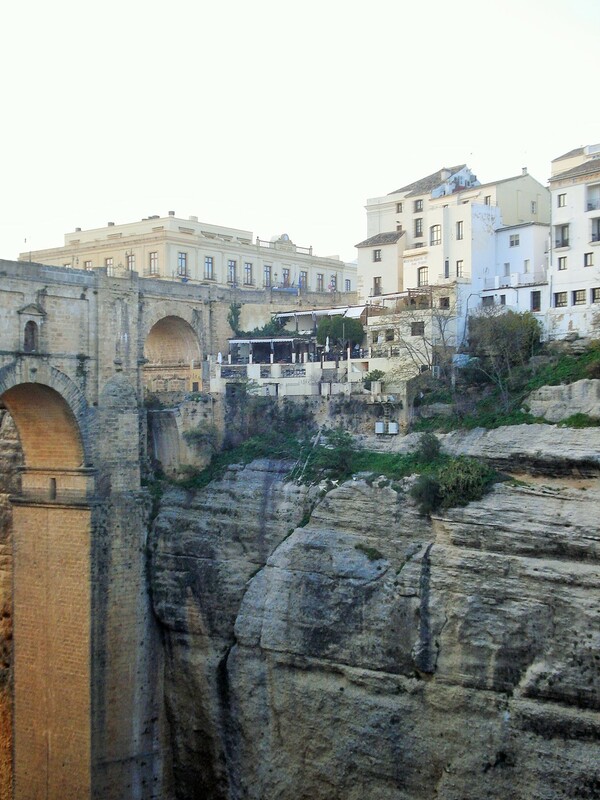 Ronda also has one of the oldest bullfighting arenas and Ernest Hemingway and Orson Welles were frequent visitors. 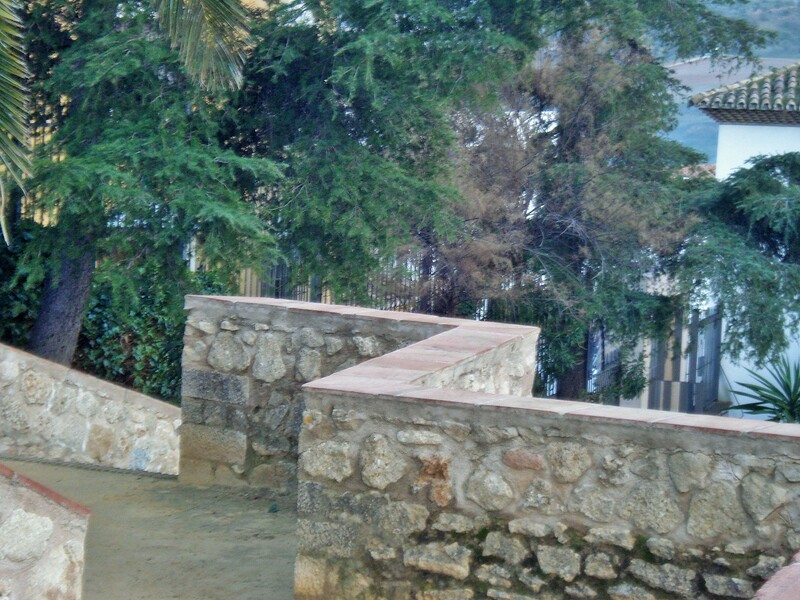 streets are actually named after them. 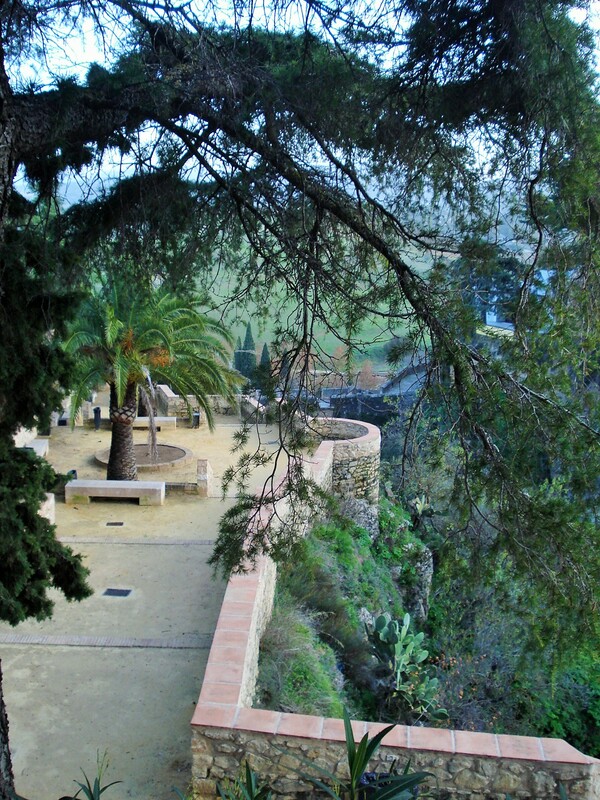 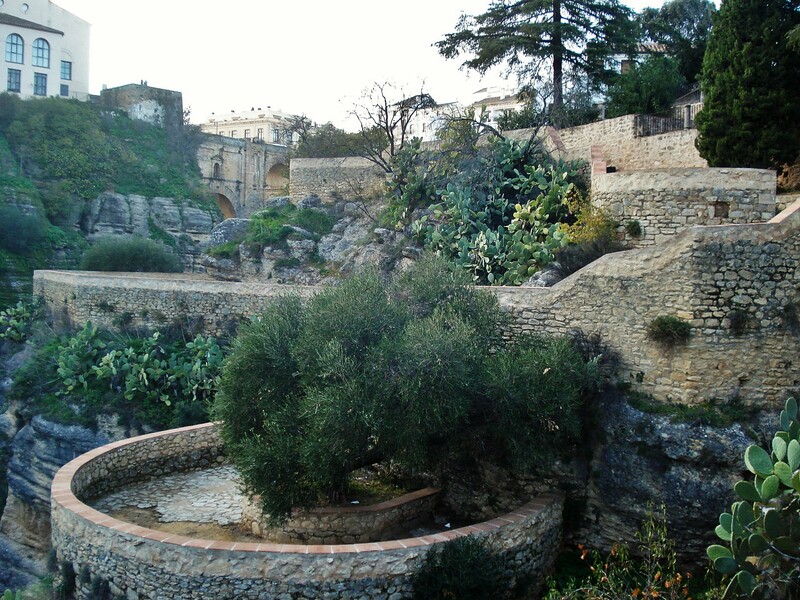 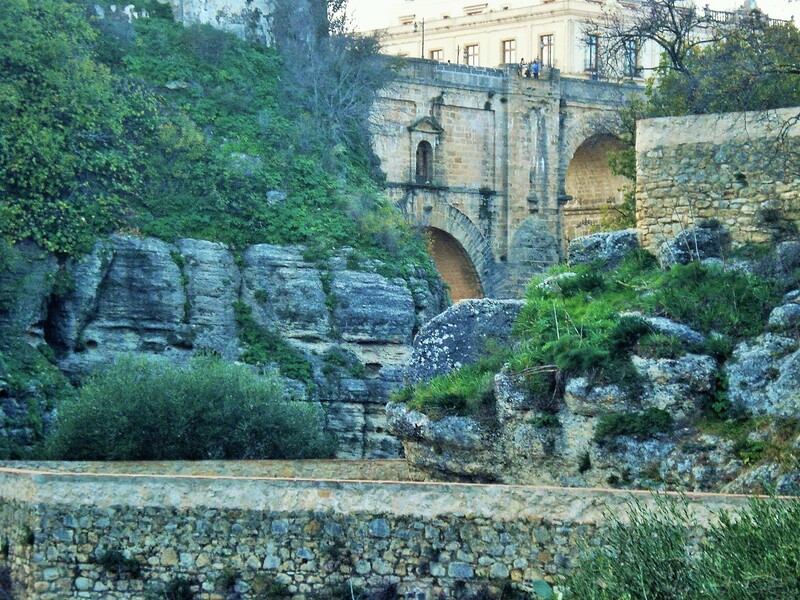 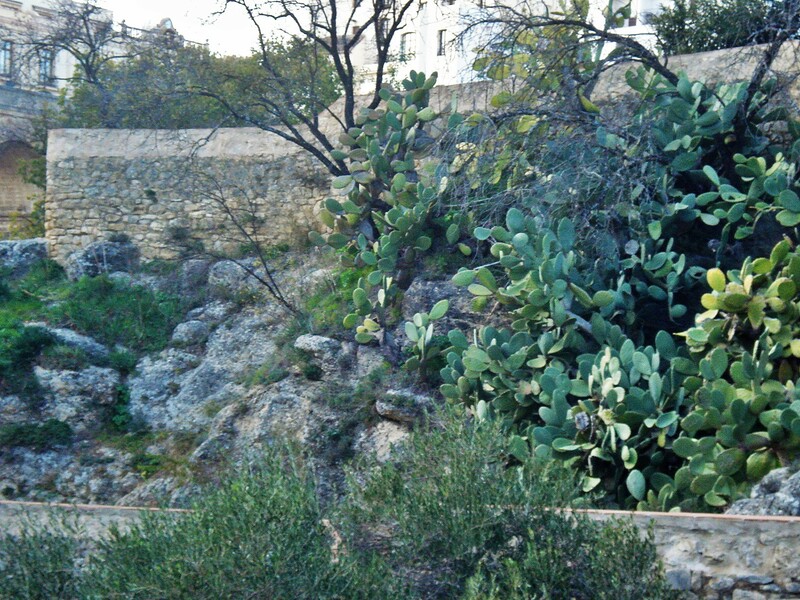 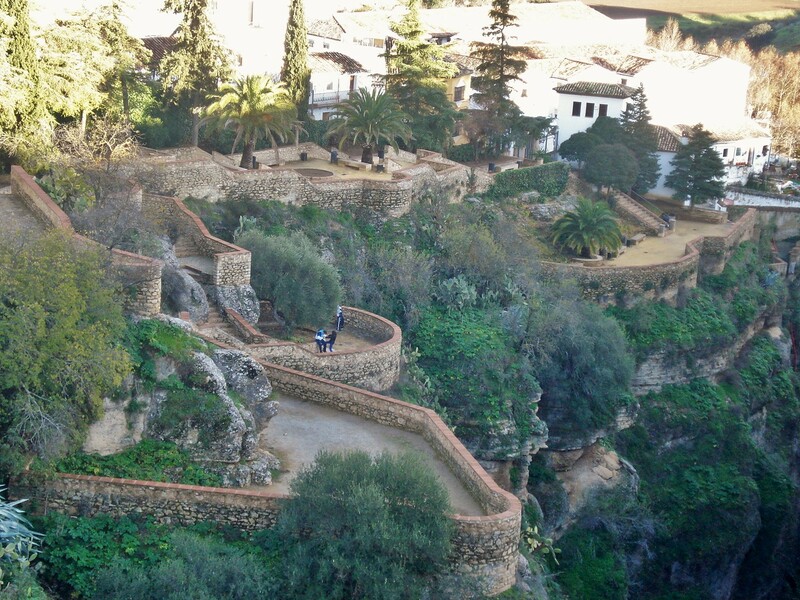 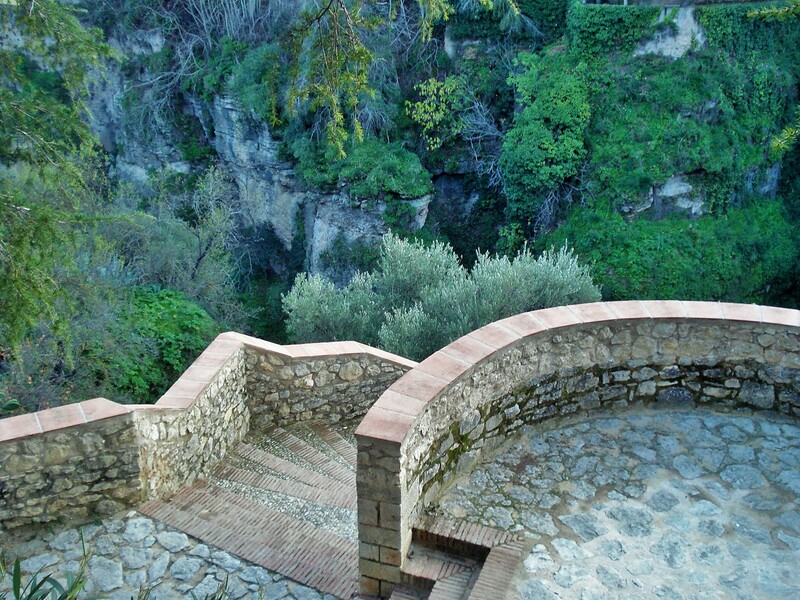 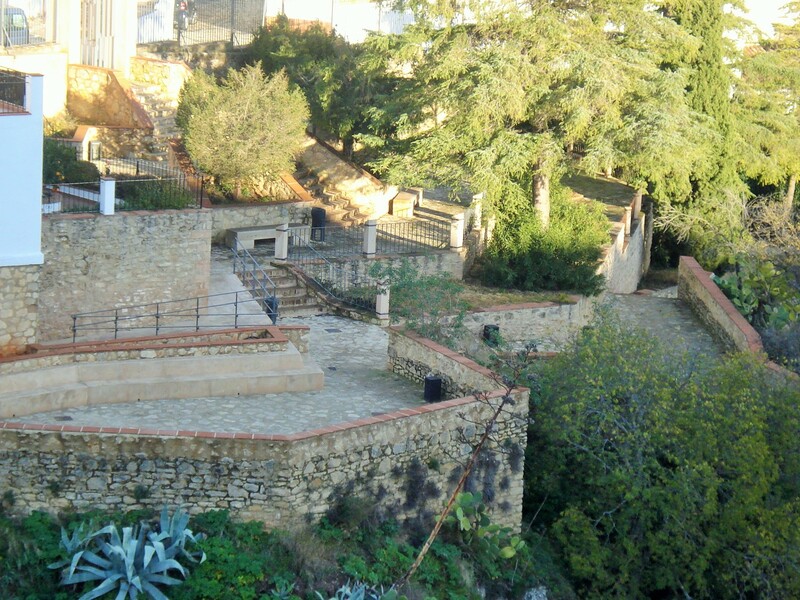 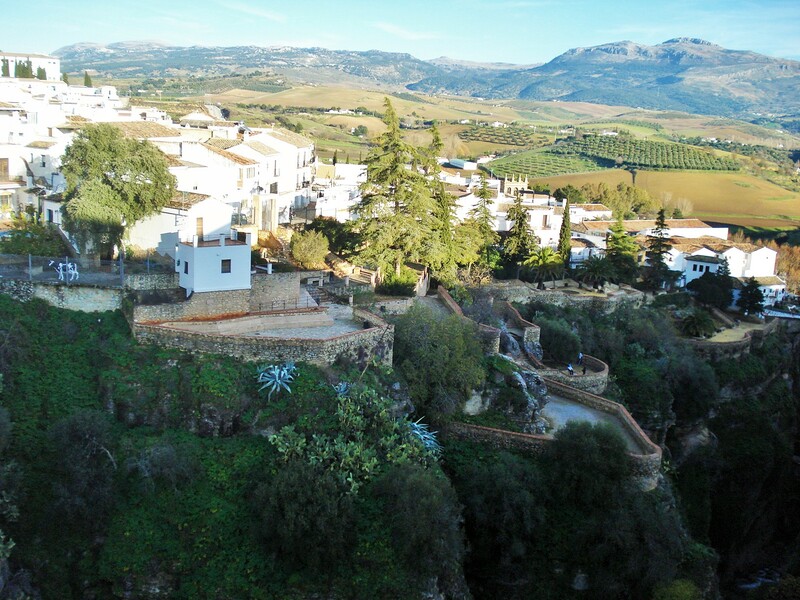 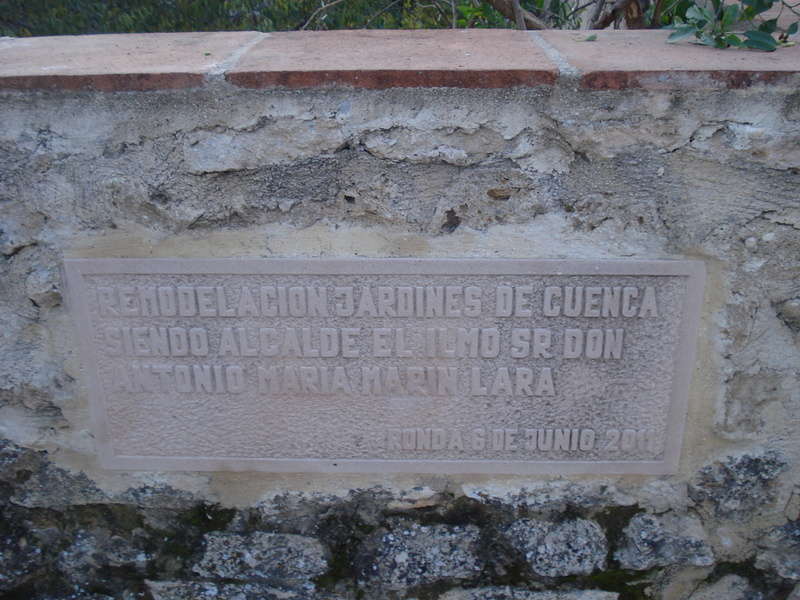 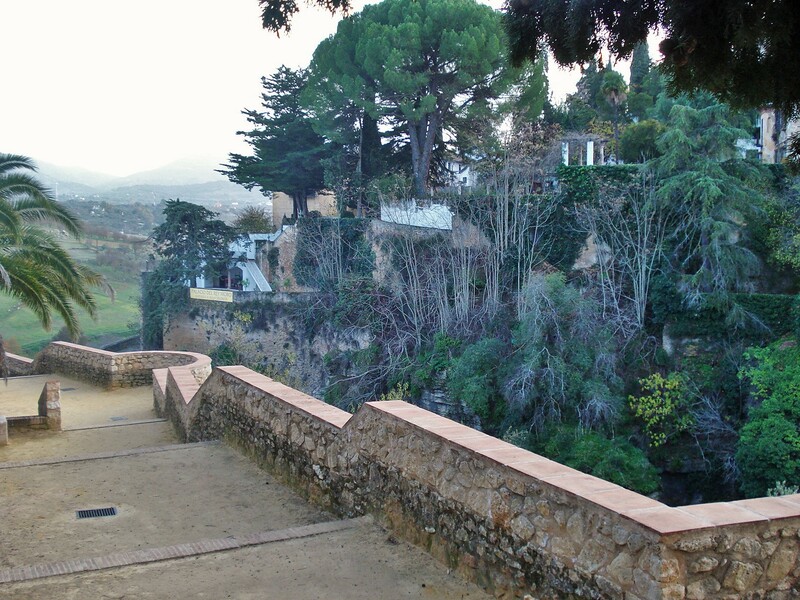 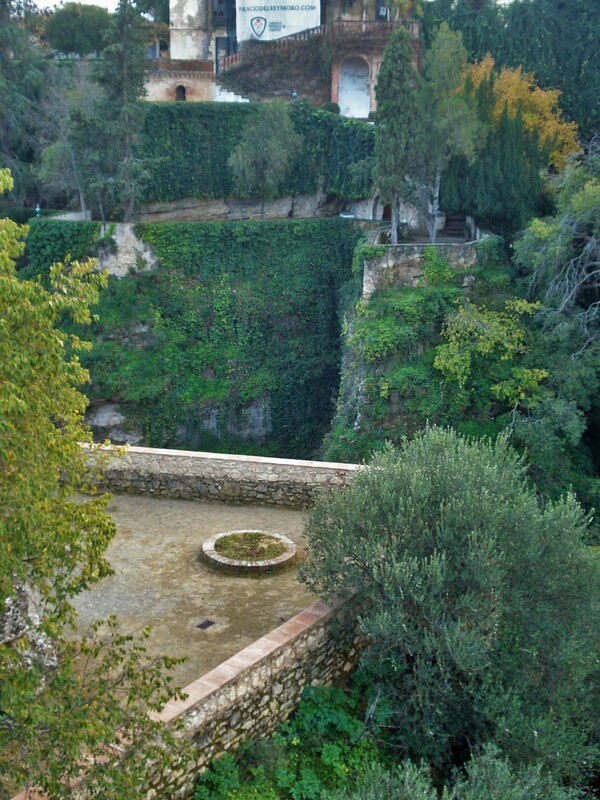 I visited Ronda in the winter, so I did not see the Jardines de Cuenca at their very best. 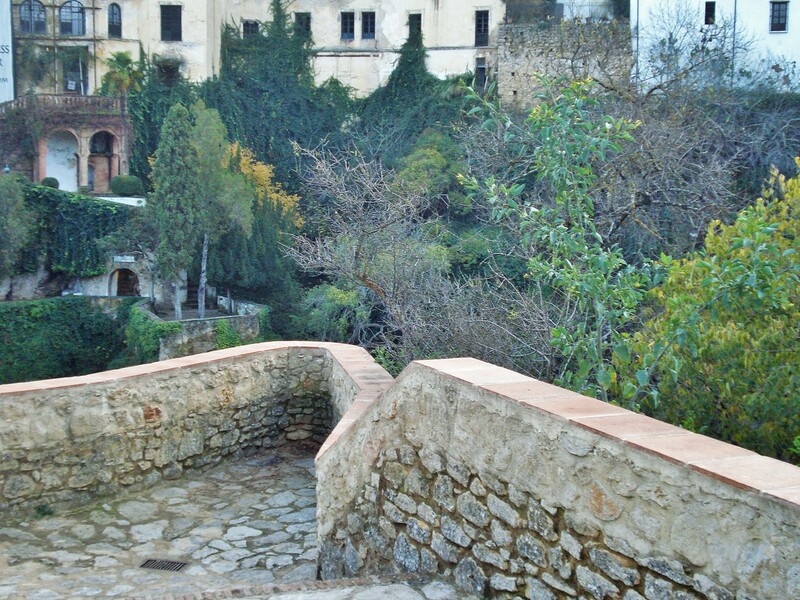 The season however in no way detracted from appreciating this unique site, and the stunning views from this small garden literally hanging over the canyon. 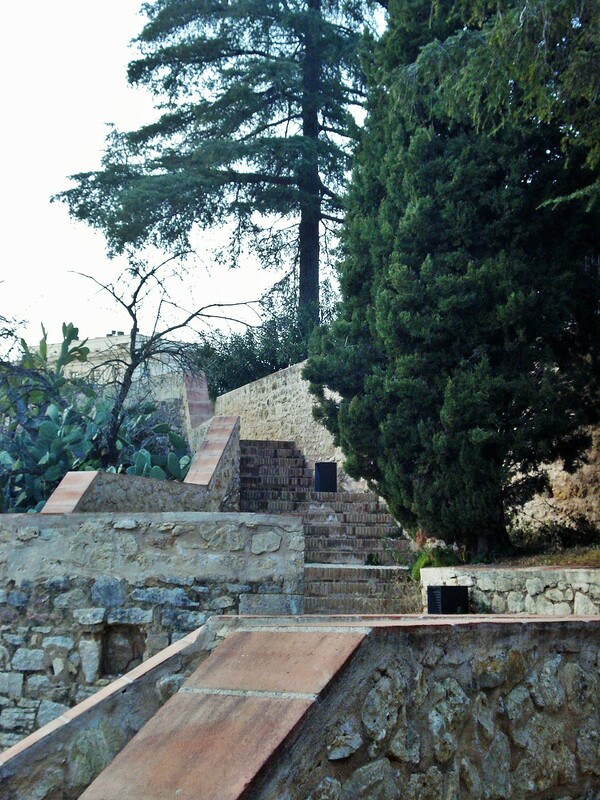 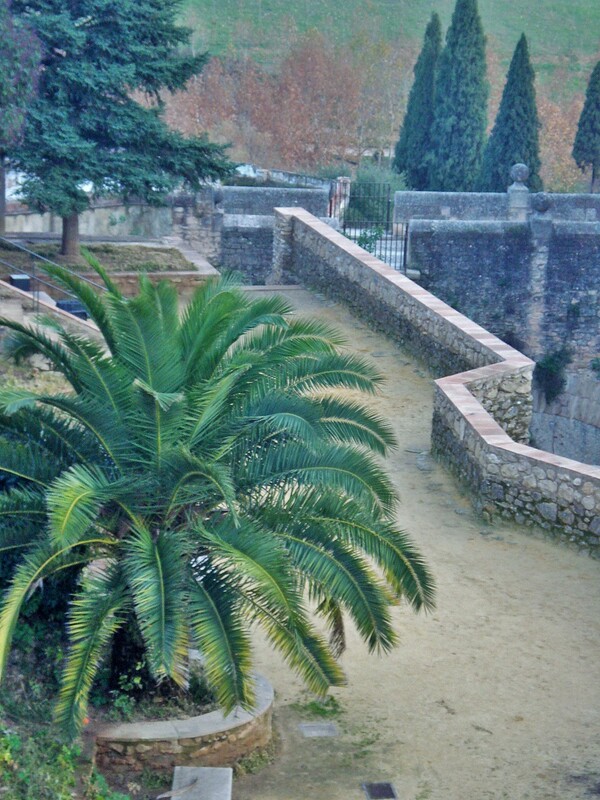 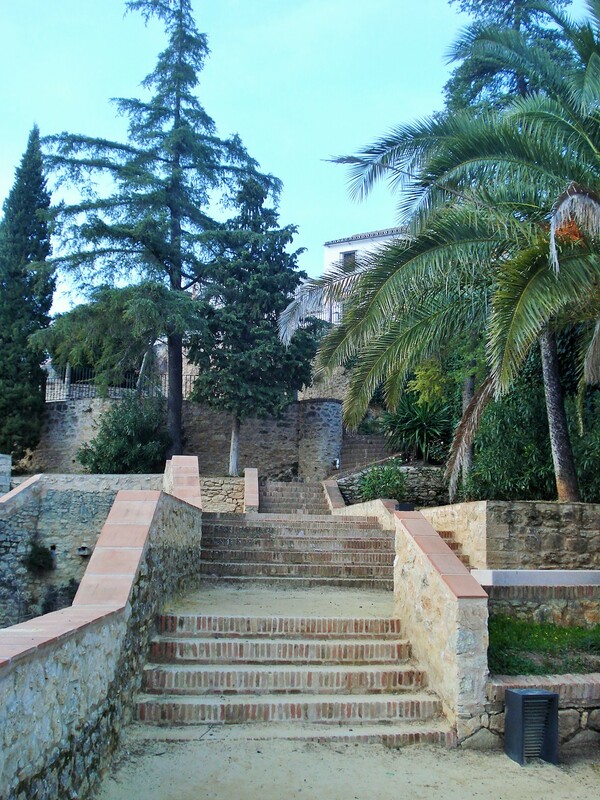 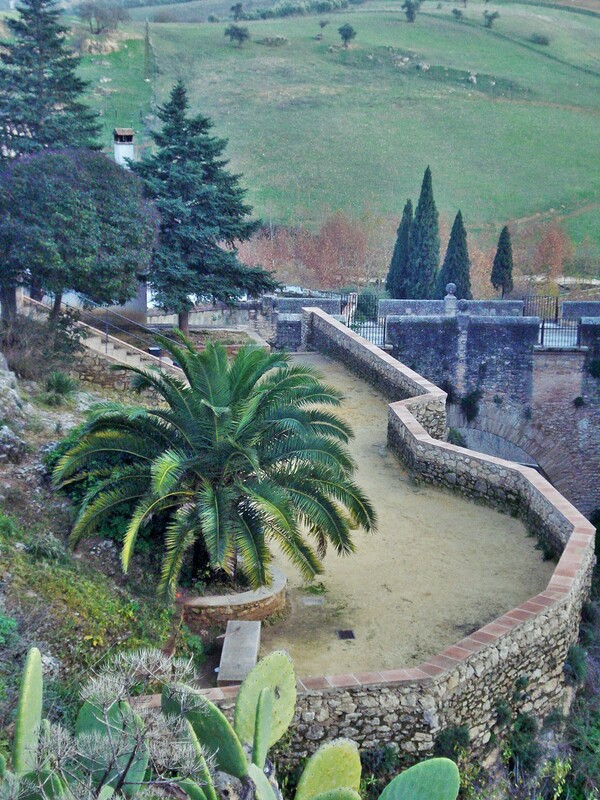 It is laid out as a series of small terraces, climbing up into the center and towards the main bridge, and planted with palm trees and succulents that are well adapted to the summer heat of southern Spain.